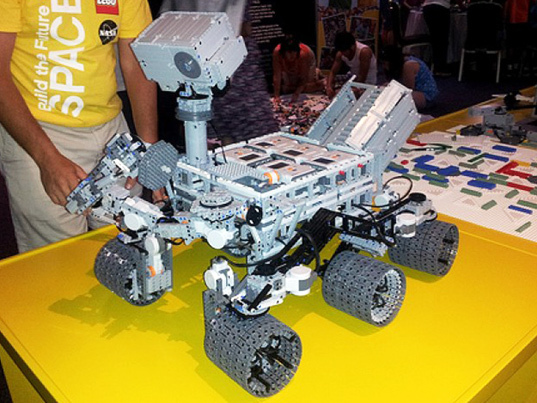 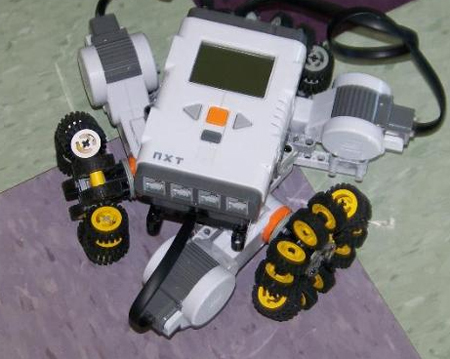 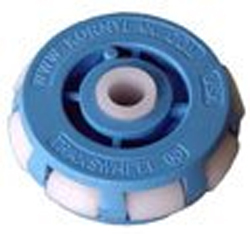 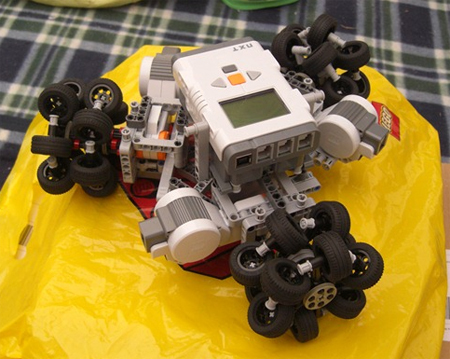 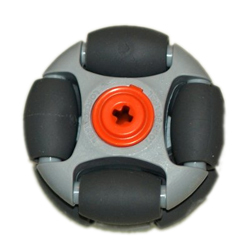 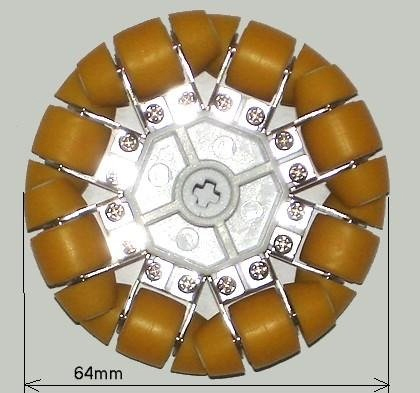 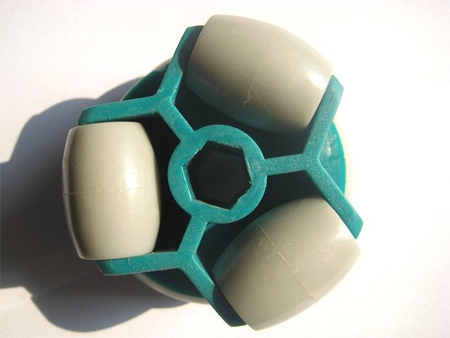 I have been researching the possibilities for omni-directional or holonomic wheels for LEGO robots. 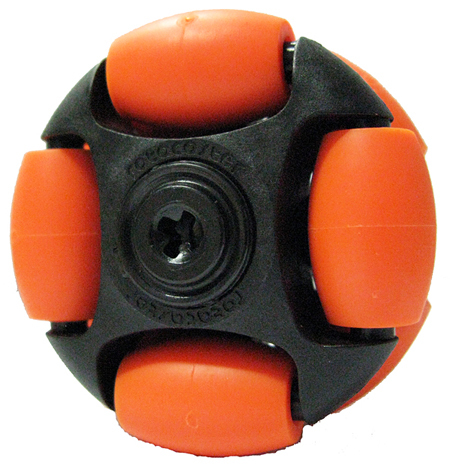 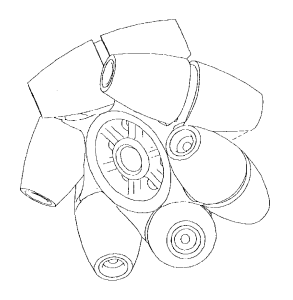 An omni-directional or holonomic wheel is one that can roll not just backwards and forwards, but sideways as well. 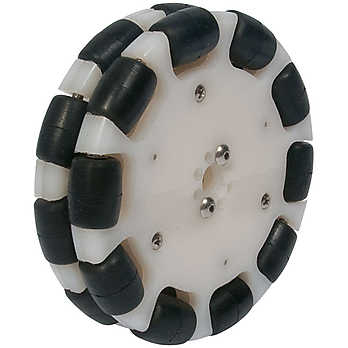 I am interested in using these on a rover that can employ differential steering smoothly without skidding. There are several different options that one can consider. 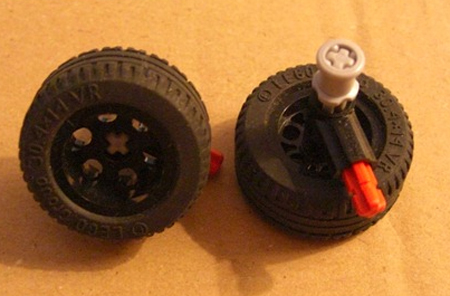 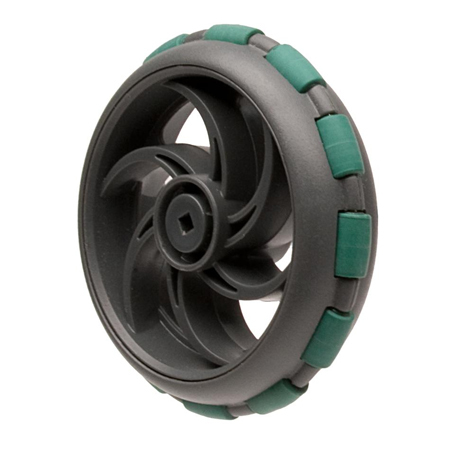 LEGO purists may consider making their own omni-directional wheel designs out of only official LEGO parts. 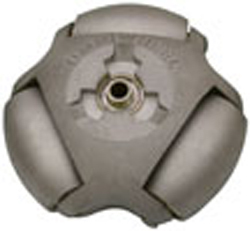 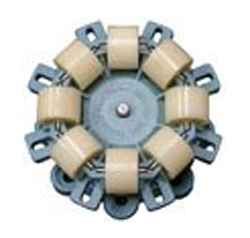 Another option is to purchase manufactured omni-directional wheels. 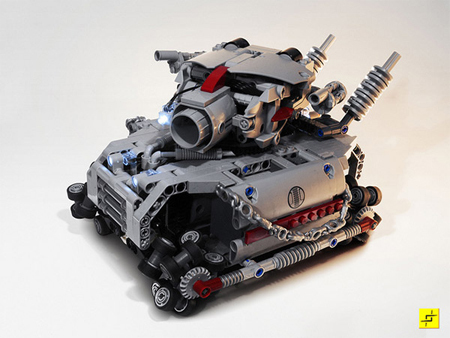 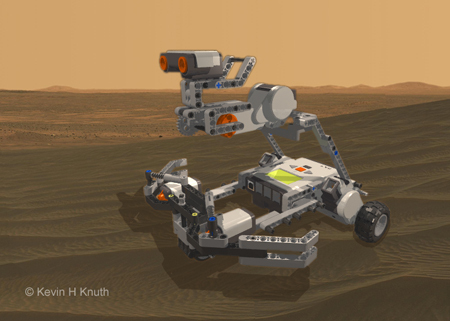 These come in two classes: those that are designed to be LEGO compatible, and those that are not LEGO compatible. 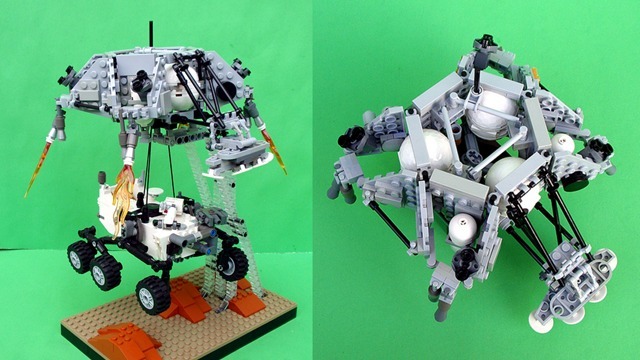 In the latter case, one would have to construct some kind of coupling mechanism to enable the wheel to connect to LEGO parts. 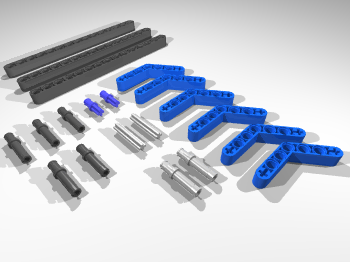 Here are some of the options that I have found. 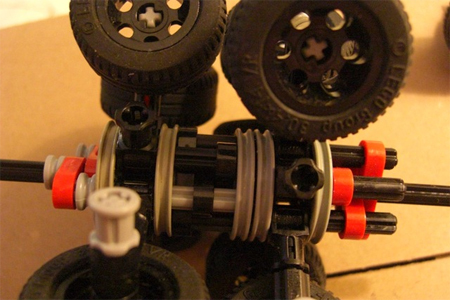 These wheels use the LEGO pulley to get a six-fold symmetry. 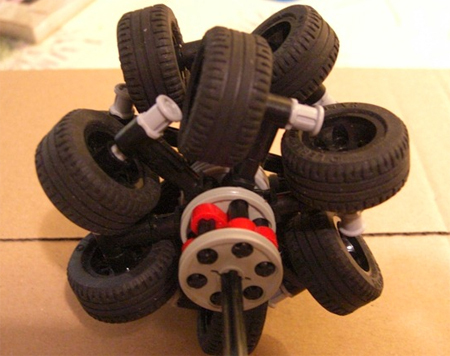 Each “wheel” uses 12 LEGO wheels. 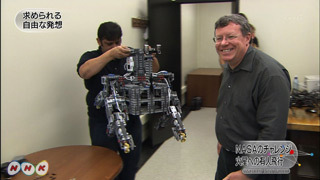 For archiving purposes, here are three pictures. 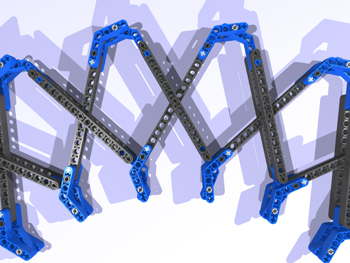 Please visit Xander at Bot Bench for larger images and more details. 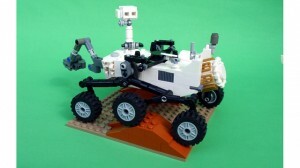 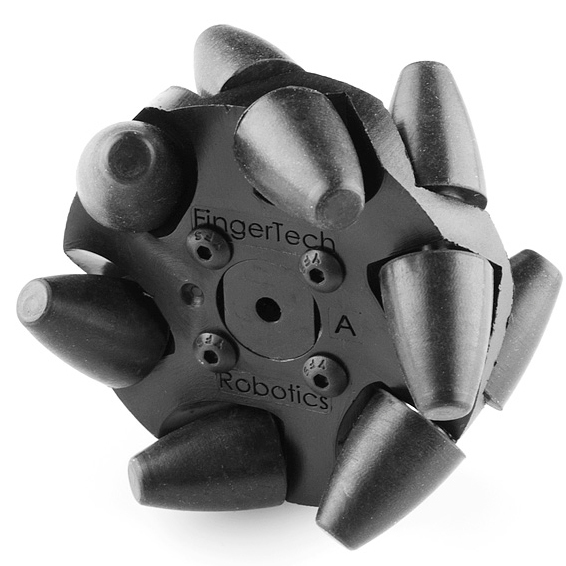 Rotacaster also produces several non-LEGO compatible designs.